While the extreme North of Scotland may have had all the ‘freezings’ it can possibly endure, I feel sorry for the people of Perthshire who tonight, under this March full moon’s anomalous influence, are being subjected to their seventh storm of sleet and freezing rain this winter/(spring). It certainly fosters strength of spirit. Colorado – at this time of year the so-called Recreation State, because Aspen welcomes thousands in ‘spring break’ from school – has had yo-yo conditions: similar to those experienced by Vancouver for the Winter Olympics in early February. 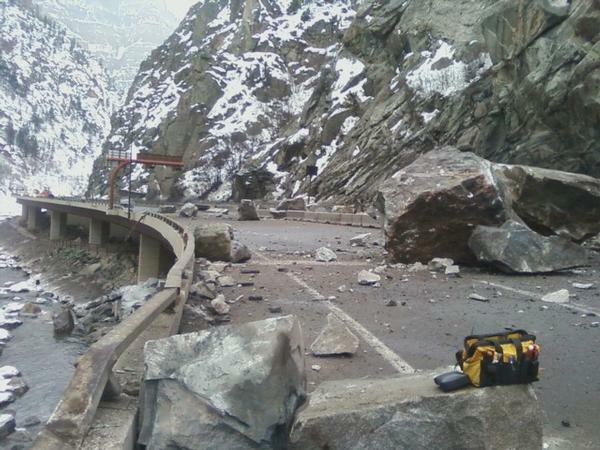 That means no snow on the Aspen runs (expensive snow-blowers and snow-creation turbines hauled in to coat ski slopes), while a few miles distant at Mount Evans, highways have been blocked by mammoth snowdrifts, rockfalls from heavy snow and, essentially, a return to January. Snow is currently descending again on Mount Fuji in Japan, at the same latitude as Los Angeles in Southern California. American poet Wallace Stevens talked of the ‘distant glitter of the January sun’ and yet we know its light is coming closer now. Days are getting longer. Global clocks have sprung forward. His spirit could fly, however, in spite of his description of ‘wind like a whetted knife’. He may have felt the chill of British isolation amid a ‘grey mist on the sea’s face’, but he had presence-of-mind to dream of far-off places to stave off the chill days of Mad March. In these long drawn-out days between winter and spring, we in sodden Scotland do indeed need a star to steer by. Since Autumn 2008, along with Mars, the solar system’s three largest planets, Jupiter, Saturn and Uranus have been slowly moving into position to form a Cardinal Grand Cross in mid June 2010. A series of Crosses follows on, including one in June 2012 and another in June 2014. This June should give us a taste of what’s to come. 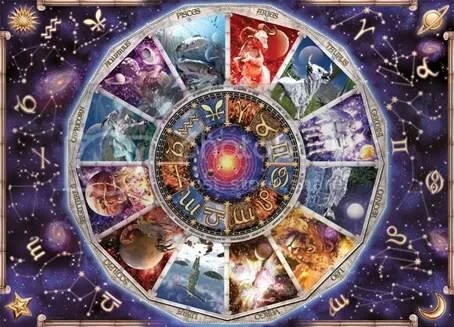 In astrology the cardinal signs signal the beginning of each new season: Aries stands at spring equinox; Cancer at summer solstice; Libra at autumn equinox and Capricorn, at midwinter. Energy in cardinal signs is characterized as active, outgoing, taking initiative. Its negative side is associated with lack of stamina or staying power. Cardinal equals primary, fundamental, an energy standing at a hinge or doorway in time. People whose astrological charts feature cardinal zodiac signs are unafraid to try something new. A cardinal cross signifies a meeting of great influential heavenly bodies at a hinge of the seasons and the upcoming Grand Cross begins on June 25th (three days after solstice) and lasts until August 5th. Its second phase stretches from November 1st until December 26th. In an individual’s zodiac birth chart, the presence of a Grand Cross – or four ‘squares’ – represents a potent combination of conflicting energies. If/when resolved, it can create a determined, dynamic and forceful personality with a strong sense of purpose or destiny. The individual in the middle of this year’s Cardinal Grand Cross in June is the planet Earth and we earthlings perched on her surface are in for a rocky ride. At this Cosmic Doorway we the human race will be stretched, pushed, pulled, tested, chewed and, possibly, even spat out by the Cosmic Forces. It will take all our fortitude, peace-of-mind, spiritual discipline and love and devotion to our fellow beings to guide us through this challenging time. An astrological Cross occurs when four (or more) planets connect in a giant square: two in opposition to one another at right angles to two more, also in opposition. The configuration brings energies into conflict, a period of tension, but is often a catalyst for (spiritual and societal) growth. It is certainly a time of great change. This June, against a backdrop of Uranus squared Pluto (the planet of birth and death), three days after summer solstice at a time considered sacred in all formative cultures, Jupiter and Uranus will stand in early degrees of Aries in square polarity to a Full Moon standing conjunct Pluto in Capricorn, opposite the Sun. Age-old superstition and tradition show especial respect and awe for the Full Moon closest to the longest day and this Moon is no exception. Its synchronicity suggests an urgency for Mankind to pay attention. In the third corner Saturn stands alone in late Virgo (on the cusp of cardinal Libra) while the Sun and Mercury in Cancer form the fourth corner of the Great Square or Cross. Polarizing Saturn in a square is the planet Mars (in Cancer), which, since March 12th this year has turned once more to direct motion. This implies a tendency to act rashly and sometimes without discipline: a trait which in the coming Cross could lead to difficulties. The planets form a cross-grid. Think of it as four people sitting as partners at a bridge table, opposite each other and at right angles to their opponents. Opposing sides use the tension of their position to intuit and understand what hand the other is playing. After a series of push-pull negotiations, a ‘contract’ is reached and the four parties find a meeting place in the middle – a point of balance – where all four may use their skills and unique talents to focus on a central point of force, pave the way for a final resolution. Slowly, inexorably, dragging their great bulk to stand in giant opposition within identical degrees in the four cardinal zodiac signs come the huge ‘partners’ in the ‘game’: Jupiter, Saturn, Uranus and Pluto – with the Moon and Mars adding spice. These powerful entities – representative of expansion, discipline, spiritual growth and death – want to express and release their energies fully but are restricted (by the squares) from doing so. The tension thus created will be enormous. However, as the Grand Cross does indeed bring great change and eventually the spiritual strength to grow beyond our narrow vision, there is a powerful message of hope in the configuration. Psychologist-linguist-astrologer Jessica Murray writes most knowledgeably about a 20-year prelude to this massive shift in human consciousness. Her work includes detailed analysis of the changes society went through starting with the great astrological conjunction – New Age ‘Harmonic Convergence’ in Aquarius of 1987. It continues through the 1989- 2007 conjunction when Saturn held hands with Neptune: from the ‘melting’ of the Berlin Wall (seen as Neptune’s softening influence on rigid societal structures – Saturn) through massive floods in New Orleans and Bangladesh, earthquakes and global warming. She sees this prelude as ‘softening up’ society to prepare ourselves for the coming confrontation. She sees us as having to come to terms with the contrast of the ‘real’ world (Saturn) and the ‘surreal’ (Uranus/Neptune, the ‘quantum field’, ‘Spirit’) in our lives. Dedication and staying power to follow through on projects and activities are not the strong suit of Cardinal Grand Crosses. And the two oppositions suggest external challenges – our motives and deep beliefs questioned by others. We shall need all our faith, our self-belief and a will to be consistent in our personal connection to Spirit; to show loving intent, a calm center and compassion in dealing with others, possibly amid derision and disbelief. Both Neptune and Uranus have been traveling in each other’s signs of exaltation: Neptune in Aquarius and Uranus in Pisces (each rules the other’s sign). They’ve been paving the way for the last seven years asking us to open our minds and hearts to our spiritual selves, to incorporate spiritual principles into our everyday lives. The coming Grand Cross will test our resolve. With planning and forethought, we may still succeed in achieving our goals, but tried and traditional avenues may not be available. Above all, we shall have to take each day as it comes, live and enjoy our increasing awareness of our place in the great unfolding, and be true to who we really are. The good news is that a Grand Cross involving the outer giant planets brings with it enormous energy which, if used with the power of intention, in loving ways, will open new doors, provide unprecedented opportunities. It may be a time when many will be able to reconnect with their Inner Knowing, their guiding star. A time to reinvent ourselves. So while the Lion of March roars outside, dispersing the last ghosts of winter, we may look to the months ahead with hope that we mere mortals may, with the assistance of giants, find a portal through which to step; to create a better world. Last crop circle before 9/9/9: nine-in-mirror, 12-helix DNA, infinity & ascension? Everybody’s noticing it: 09/09/09. The last single-digit date in the Western calendar for a thousand years. No wonder the energy gurus are out in force. Astrology pundits are ready with progressed charts: Saturn and Sun in Virgo, Mercury retrograde. Numerologists are having a field day: 9+9+9=2+7=9 . Crop circles in the sacred sites of Wiltshire have developed to their most sophisticated form: beauty in nature, tantalizing code. Channellings are coming in thick and fast from the ethers. All predict a turning point, the Shift of Ages, new beginnings for the human race. Ascension for some; a little farther up the ladder of awareness for others. Naturally there are doubters: media takes pride-of-place in offering fear scenarios. But even the media is picking up on it: energy is building in remarkable corners of the planet, in all cultures, as we collectively approach the day. There are further signs that the ascension process is reaching out and touching more people than before. In 1987 the Harmonic Convergence of August 16/17 was heralded in esoteric communities like Sedona, AZ, Taos, NM and Mt.Shasta, CA and by New Age gurus generally as the beginning of a new process of awakening for humanity. Bright planets Jupiter, Venus and Saturn were visible together in the night sky, with believers meditating and sharing a ‘global field’ of synchronized human intent for a positive future for the planet. July and August 2009 saw similar planetary initiatives (Fire-the-Grid, Infinity-Gate-8, forthcoming Earthdance, September 26th) celebrating if not planetary ascension, then a progression of human compassion and increased awareness that we are all in this together. Astrologers have their own explanation: in 1987 a powerful fire trine occurred in August with the Sun and attendant planets in Leo, together forming a trine with Jupiter in Aries and Saturn with Uranus in Sagittarius. On 09/09/09, after a prelude of eclipses, solar energy doorways and planetary conjunctions, the Sun and Saturn stand together in Virgo, the Moon graces earth-sign Taurus, with Mars supporting Jupiter back in Aquarius where he belongs: abundance and plenty for all, release from the old restrictive paradigm, step into the future with joy. Other calendars agree. Among older cultures who have predicted this event for millennia, Judaeo-Christian prophesies rival Central American and Native American messages for the End Times. Harmonic Convergence in 1987 marked the end of Quetzacoatl’s cycle of Thirteen Heavens and Nine Hells. At that moment when the ninth hell fell, the Earth is said to have entered the 25-year culmination of its 5,125-year Great Cycle of History. Twenty-two years on, as we approach the end of the Maya’s 26,000-year Cycle of Evolution, (due to complete on or before 12/12/12) we as a species are being given evidence of our leaving third-dimensional spatial awareness behind and entering fourth dimensional (time) reality. Scientifically, on a practical level, the Earth is changing. Until 1987, and for thousands of years previously while the Earth was ‘asleep’, planetary energy frequency resonated at a fundamental cycle of 8Hz, or 8 cycles per second. This frequency is rising. Current frequency is 13 cycles per second, the musical note of Bflat, and a quantum figure satisfying mathematical proportions predicted by the Fibonacci series of numbers, based on the Golden Mean or Harmonics of the Universe. This is the progression 1, 2, 3, 5, 8, 13, 21 etc. A boost in planetary energy has been accompanied by a rapid decrease in the Earth’s magnetic field. Whether this waning of electromagnetic force will result in a polar shift is unknown, but it promises to reach a projected ‘zero point’, seen by New Age philosophers like Gregg Braden as a still-point in consciousness representing ‘a rare opportunity for collective repatterning in human expression’. The number of wake-up calls is increasing: on the alarmist scale, planetary storms, forest fires, reports of famine and water shortages, statistics of diminishing clean air, ocean pollution, animal species hunted to extinction; on the positive side we reach ever farther out to the stars, create technology never before imagined, see the evolution of our species mirrored in mathematics and quantum theory. Our human consciousness is expanding at a rate previously unknown: Mind absorbing new information so quickly, it makes itself obsolete in seconds. As a race, we are receiving reminders to speed up our personal process of spiritual awakening, to enter the Divine Matrix. Channelled messages from Ashtar, Sirian High Command, Archangel Metatron and Kryon of the Magnetic Service have been flooding spiritual social internet sites like Humanity Healing’s ning network, encouraging the individual to look within, to contemplate one’s own heart reaction, soul promptings and inner guides in this New Earth. In some ways 9/9/9 is a beginning. It is also a completion. A different cycle of human endeavour is emerging, seen perhaps best in the person of a black Muslim as president of the world’s most powerful nation, where misdeeds and war-mongering may cease as a means to achieving goals. Instead we are beginning to get our heads around a long-dreamed ability to ‘create our own reality’, actively to allow joy and peace to enter our lives; consciously to become people who ‘pay-it-forward’ rather than offer payback. It has been said the current financial downturn is comparable with the 1930s depression. 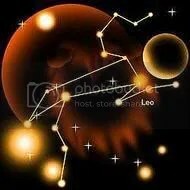 Astrologically the same powerful planets, Saturn, Pluto and Mercury, are repeating cycles experienced in the ’30s. But Jupiter is abundant as never before. On a planetary level current generosity and support for causes to save wildlife, feed the hungry, establish more enlightened health care systems are far beyond anything the New Deal ever devised. Yes, you could say the human race is hearing the wake-up call of 09/09/09. In New Age circles it is said the way to move with the new energies is a paraphrase on the Judaeo-Christian (St.James’) ‘faith-hope-charity’. New Agers express it either as ‘feel it; see it; believe it’; or ‘believe-expect-love’. Either way it’s the expectation that counts. Maybe we really are waking up this time. On 09/09/09 EXPECT a miracle.